The latest behavioural research says your habits are the key. Once we acquire a habit, it becomes a certainty. Like brushing your teeth or taking a shower. 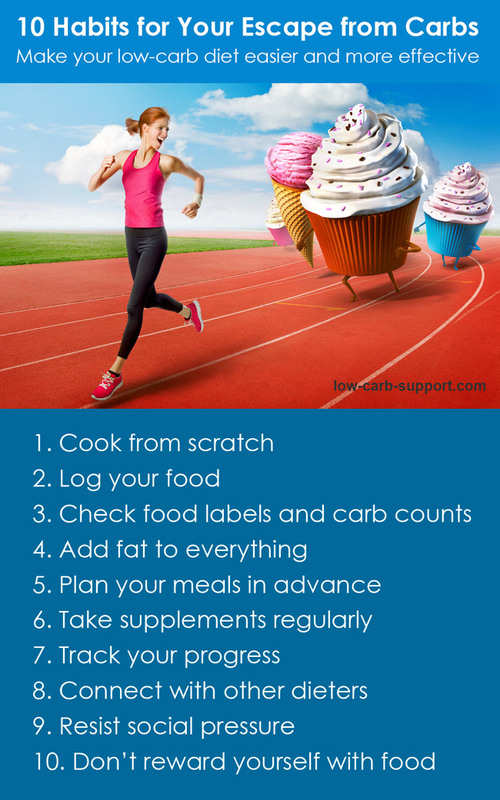 So are there any habits that can help your low-carb diet? Read on for our top ten ideas. Pre-packaged processed foods might seem like a time-saver. But whatever you gain in terms of time, you lose in terms of quality. Not to mention the high chance of hidden carbs. Cooking your meals from scratch is a healthy habit. It will stop unwanted carbs from creeping in unnoticed. Raw unprocessed ingredients are more nutritious and taste better. Cooking doesn’t have to take much time either. Many delicious low-carb meals take around 10-15 minutes to prepare. If you don’t log your food, then you are eating more than you think. Multiple studies show that we are rubbish at estimating nutritional values. We always err on the wrong side. People can easily underestimate their calories intake by 50% and more. The same is true for counting carbs. The only way to avoid errors is to log all your food. You can use a food-tracking app, a spreadsheet or just plain old pen and paper. The important thing is to do it. Your food log won’t let you lie to yourself! The same underestimation bias works against you with carb estimates. Don’t guess, because your brain will trick you. Look it up and find out for sure. Always check the exact carb count on food labels. Carbs can hide in plain sight – for example, in marinades, condiments and dairy products. Sometimes even products with a “sugar-free” label turn out to be high in carbs. After almost eight years on low-carb, I still make whopping errors sometimes. The good habit is to always check, check, check. Aim to replace the calories you used to get from carbs with fat. 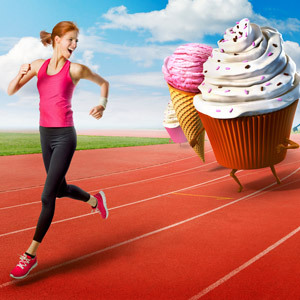 Fat stops hunger and sugar cravings. Your body can use dietary fat for energy, so you won’t feel tired. Extra fat can turn any meal into a scrumptious deliciousness. Just throw some butter of grated cheese on top of anything savoury! Use fatty cuts of meat, oils and dairy fats freely and generously. Embracing fat means overcoming decades of media-induced phobia. Lack of fat can derail your low-carb diet. So this habit is important to acquire. The world is full of carbs. You need to plan ahead so that you don’t walk into temptations unprepared. When going out, get the menu online in advance and see if there are low-carb options. Some cuisines are great for low-carb diets – for example, Spanish, Lebanese, and South American. Bring some low-carb snacks with you when you are out and about. Have a small meal before going to a party, so you can focus on socialising (and maybe drinking). In short – be prepared! Supplements can make your low-carb diet easier. But only if you actually take them regularly. A multivitamin bottle gathering dust in the corner of your kitchen does nothing. Put your supplements where you can see them. Incorporate them into your other routines. Taking supplements after each meal is easy to remember. Or try a reminder app on your phone or computer. It’s hard to keep going if you don’t see any results. Monitor your progress regularly – but not too often. Don’t weigh yourself every day. Once a week weighing is better for showing trends. Body measurements are also a good progress indicator. Use a measuring tape, or try fitting into the same tight item of clothing every week. If it’s getting looser, then your diet is working (even if the scales don’t show it yet). If there is no progress after 2-3 weeks, your diet isn’t working. You need to evaluate what you are doing wrong, and re-adjust your plan. Encouragement from other people is a great motivator. Exchange tips, get inspired by success stories, and stay determined and strong. If no one you know is currently dieting, just go online! There are hundreds of groups, hangouts and forums dedicated to low-carb diets. Ask questions, socialise, swap ideas and get support from other dieters. You are more likely to stay on track as part of a group. Some people might try to discourage you, or dismiss low-carb as a “fad diet”. You might feel awkward fussing about food in social situations. You might feel like you are being selfish or obsessive. Looking after yourself and being healthy is not selfish. It is your right and your responsibility. Learn to ignore your critics. Do what’s right for you. You are not a dog. Do not reward yourself with food. Using food as a “treat” is not a good habit, but a very common one. Try to think of other ways to reward and treat yourself. Go for a nice walk, take a bath, buy something nice that’s not food. Moving away from “I treat myself to nice food” attitude will get you to your goals faster. Overwrite your old habits with new ones and breeze toward your new, slimmer body. Do you have a good habit that helped you lose weight and keep it off? The only thing I would add is taking taurine under the tongue so that vitamins and minerals you need are used more efficiently by your body.